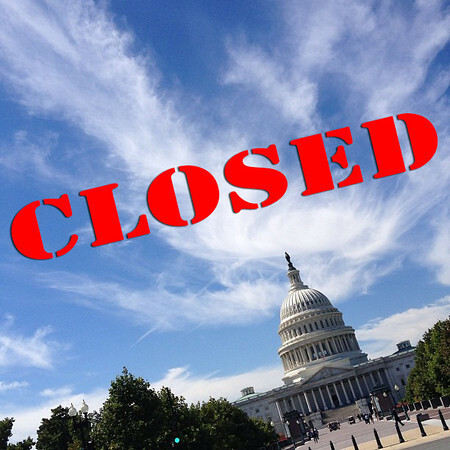 It is day two of the federal government shutdown. Every day, before I leave for work, I walk our family dog around the neighborhood. The weather is beautiful today, just as it has been for the last couple weeks. What’s different about today, however, is that my neighborhood is full of cars on the street and people milling about. It just dawned on me that I live in a nonessential neighborhood. My neighbors are government employees. APHL is headquartered in Montgomery County, Maryland, an ethnically and socioeconomically diverse area; our school system is known for being one of the top in the nation but today it’s known for having children from 70,000 families whose family members’ jobs are considered nonessential and are now furloughed. Among those furloughed are the security guards who check IDs at the National Institutes of Health (NIH); our nation’s top scientists who are looking for cures for childhood cancer; the researchers doing work on influenza viruses; the food service workers who are usually hard at work by now helping to feed the many employees at the National Institute of Science and Technology (NIST); and the Maternal and Child health specialist at the Health Resources and Services Administration (HRSA) who supports the newborn screening programs in our public health labs. Despite being given a “nonessential” label, they are all essential to us. Public health is a local, state and federal continuum where all parts work together to ensure we have a healthy American populace. The public health system can’t work very well – or, I should say, doesn’t work very well – when one part of the system simply isn’t engaged. That’s the situation we face today on the second day of the federal government shutdown. Local public health is still hard at work, state public health is still hard at work, but the federal portion of public health is minimally staffed. If the local or state systems need technical assistance or laboratory support, they are largely on their own. The federal portion of the continuum is essential. In some ways you can think of it as the glue that holds the system together. 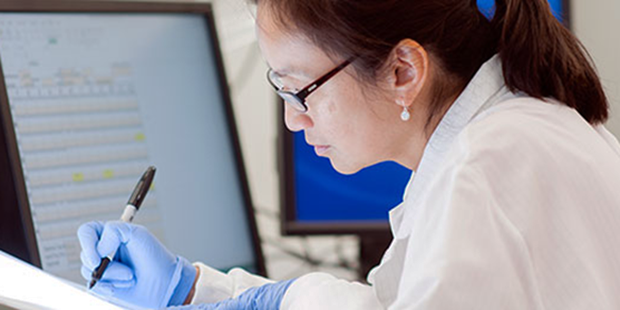 Public health laboratories and epidemiologists are busy tracking down disease outbreaks all the time. They do a great job in their local or state jurisdictions detecting diseases and other pathogens that can harm us. But it is the role of the federal government – the Centers for Disease Control and Prevention (CDC), in this case – to come up with a national picture of disease outbreaks. It’s the job of the CDC to knit together the mystery of how outbreaks unfold across the country, all with the goal of stopping them as soon as possible so that lives can be saved. Take a foodborne outbreak for example. On any given day CDC is reviewing up to 30 (and sometimes more) clusters of foodborne illness across the country. We have an incredible system called PulseNet, which is essentially a DNA fingerprinting system for bacteria that cause foodborne outbreaks. It’s those DNA patterns that are uploaded to a large database at CDC. It is then CDC’s role to review that data and to look for matching patterns across the country so that multistate outbreaks can be detected, the product pulled from market, the outbreak stopped and people can regain their health. What I just described isn’t only CDC’s role, it also involves the FDA. It’s their responsibility to test products that have been implicated in outbreaks and ensure they are pulled from the market. But because of the shutdown, only a skeleton crew of CDC disease investigators and FDA investigators and regulatory specialists are at work. It’s also the beginning of the annual flu season. Public health laboratories around the country are busy collecting specimens and analyzing them to determine what influenza strains are circulating. That information is then shared with CDC so they can do their job of reviewing the information nationally to determine where flu outbreaks are occurring. But because of the government shutdown there is no one at CDC able to review these reports. That means we are likely to see influenza reported in each state but we will not see a national picture. While that’s not devastating in the short run, if we go a few weeks or longer we will miss out on seeing what’s happening with influenza this year which will impact our knowledge base on what strains might be put into the flu vaccine for next year potentially compromising the health – and possibly lives – of many. I could go on and on but my point is really that public health remains an enterprise; as I said above, it is a local, state and federal continuum. The federal role in public health is essential. It is the part that holds together the other pieces and we are less safe when the federal contributions to public health are missing in action. Congress must act soon; public servants deserve better and the American public deserves better.